THOR's Tipi Bar arrives at Sheffield's Peace Gardens this week. Welcome to our new feature, Five Great Things To Do After 5pm. Sheffield gets interesting after 5pm, so every week we are going to bring you some suggestions of great things to do in the city in the early evening. Whether it be dining, music, shopping or events, there’s always something to hang about after work for. Here are some suggestions for the 20 - 26 November. Temple Spa’s luxury range of Christmas gifts is usually only available at Harrods in London, but for one night only The Botanist in Leopold Square is hosting two Temple Spa managers to showcase the range. Guests can experience the sets, talk to experts and purchase on the day. The event starts at 7pm, hang about after work and enjoy some food and drink at The Botanist beforehand. Call 0114 273 7855 or email sheffieldbookingsthebotanist.uk.com for tickets. 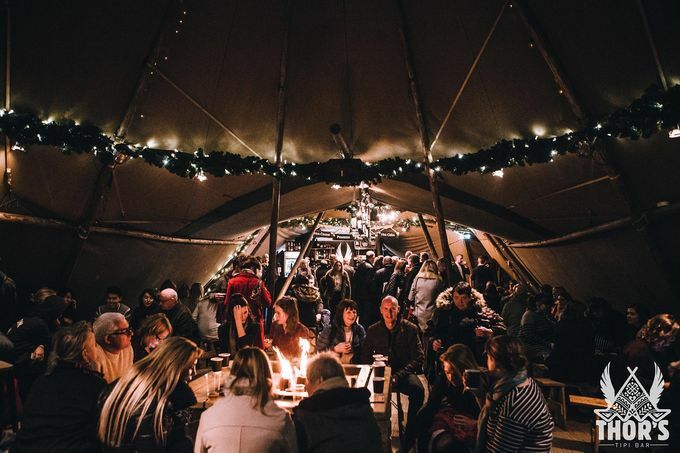 THOR’s Tipi Bar – the Viking themed festive pop-up drinking den – returns to Sheffield’s Peace Gardens on 22 November. Expect cosy fires, mulled wine and warming street food. Read more in Alive After 5’s preview of THOR’s Tipi Bar. At 6:30pm on 23 November, The Light cinema on The Moor is showing Intimissi on Ice - a feature length ice show where opera, pop music, figure skating and fashion is combined for a breath-taking performance produced and filmed at the iconic Arena Di Verona in Italy. The Light complex is full of fantastic restaurant, dine before the show and enjoy Sheffield after 5pm. Expect sparkle, shine, hilarious children and a canine cast member when the new production of Nativity! The Musical comes to Sheffield’s Lyceum Theatre from Wednesday 22 to Sunday 26 November. Read more in the preview of the musical in Alive After 5’s entertainment section. At 7pm on 21 November, fans of travel should head to Waterstones in Orchard Square for the launch of Sheffield author Tony Tingle's brand new travel biography, Blowing Down The Road. The American landscape and its people are the central characters of the book, ends with an insightful view on the country’s future under Trump. Grab dinner beforehand, Alive After 5’s food and drink section has some great suggestions for dining in Sheffield after 5pm.